These Dub Vocals are brought to you by Jay Spaker aka Double Tiger, a vocalist, composer and producer in Brooklyn, NY. His journey started at 14 playing in many reggae bands supporting heavyweights like Burning Spear, Israel Vibrations, Culture and more. These early experiences had a profound effect on the young musician & a lifelong love of Jamaican music. Double Tiger is a cofounder of Dub Stuy Records and Guitar/vocalist in John Brown's Body (Easy Star Records.) as well as being one half of the critically acclaimed Tour De Force, and being on Guitar/ Vocal duties with John Browns Body. 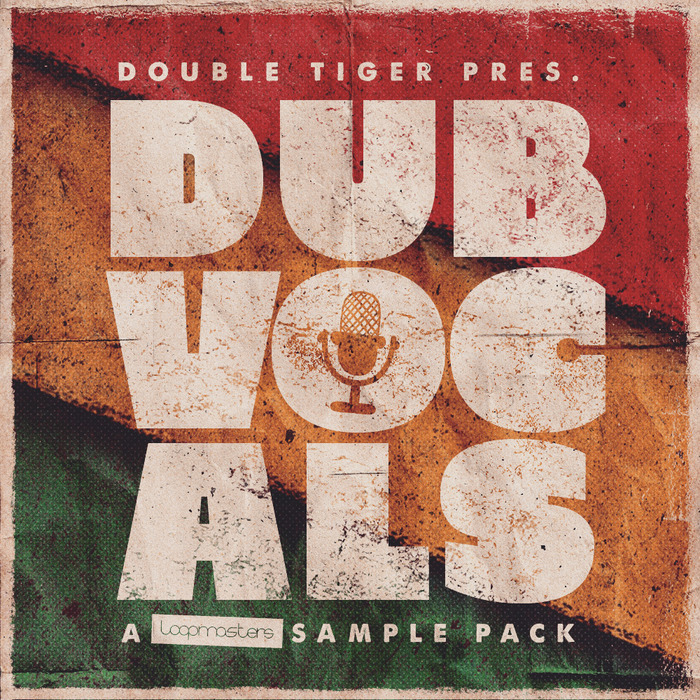 Double Tiger Dub Vocals is the ultimate vocal showdown for your rival sound system, with a treasure trove of layered vocals parts to build your next Dub-inspired hit! It?s packed with SEVEN full song construction kits, featuring Choruses, Verses, Harmonies and Adlibs, expertly delivered and captured in 24 Bit quality. Each recording includes Dry and expertly Effected versions to throw into your next soundclash, giving you the freedom to experiment long into the night! You can be sure that every element of these sounds has the authenticity and vibes you need! This collection comes at 85 to 136BPM; ideal for summer jams anchored by a wobbling riddim in Dub, Reggae, Dancehall, Roots, Soul, Jungle and many other Genres. Each song is key labelled to get your melodies right, from the start to the reload! In detail expect to find 954MB of content with 121 individual 24 Bit Wav files. Inside are 24 Chorus Loops, 24 Chorus FX Loops, 18 Verse Loops, 16 Verse FX Loops, 5 Adlib Loops, 5 Adlib FX Loops, 15 Harmony Loops and 14 Harmony FX Loops. 121 Rex2 Loops are also included in the collection. Share the gospel of sound system culture with Double Tiger Dub Vocals ? it?s time to drown your ears in bass!